Louisville, KY, September 21, 2015—Trinity Video Communications will host an Open House at its new corporate headquarters on Thursday, October 1, 2015. 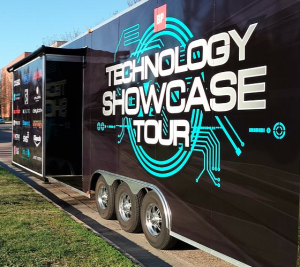 This event will take place in conjunction with the A/V Integrated Solutions Showcase Tour, presented by BP Marketing Group, LLC., and will feature a 36’ state-of-the-art exhibit trailer with products from more than 20 different A/V manufacturers including Altona, Casio, Epson, Klipsch, LG, Nova, Presentia, SunBriteDS, SVSi, TV1, Utelogy, VDO 360, Wolf Vision and more. 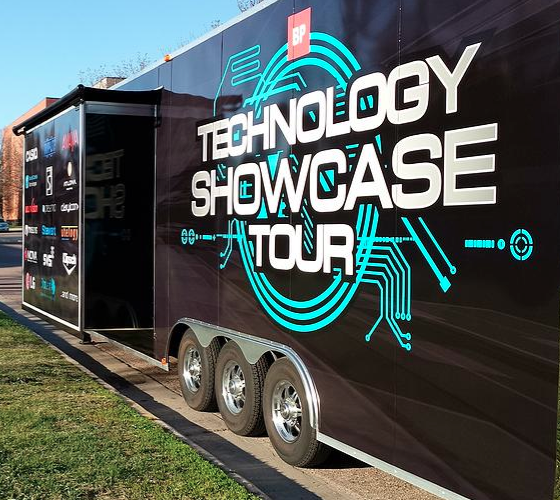 The Technology Showcase Tour trailer will be set up at Trinity Video Communications, 11003 Bluegrass Parkway, Ste. 600, Louisville, KY 40299, from 11 a.m. to 4 p.m. Trailer tours begin on each hour and last approximately 45 minutes. Trinity Video representatives will be on-hand for questions, and refreshments will be available. The event is free, but reservations are appreciated at http://events.r20.constantcontact.com/register/event?oeidk=a07ebiyakgx04f1e537&llr=ucui5moab, or by calling 502-240-6100. BP Marketing Group, LLC is a manufacturer’s representative firm specializing in Pro AV & IT solutions serving the commercial, corporate, government, and educational markets.